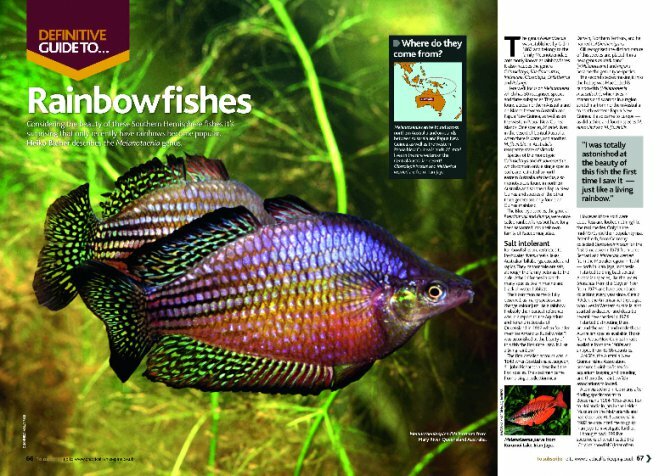 Heiko Bleher brings us a stunning eight-page feature on the beautiful Melanotaenia genus of rainbowfishes, complete with more than 40 photos, in the June issue of Practical Fishkeeping. Considering the beauty of these Southern Hemisphere fishes it's surprising that only recently have rainbows become popular. Heiko Bleher tells us about the history of the rainbowfish and offers advice on their care, tankmates and choice of decor. "Gerald R. Allen visited me after finding specimens from Boeseman's 1954-1955 expedition to Hollandia in jars in the Leiden Museum in the Netherlands and had described M. boesemani. In 1982 he convinced me to go to Irian Jaya to investigate further. 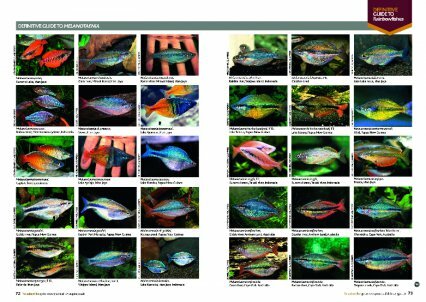 "I brought back 199 live specimens of what I called the 'Coral rainbowfish' (later often named Boeseman's rainbowfish). I called it 'Coral' because only in reefs could you expect to find such extreme coloured fish. Today every rainbow in the hobby comes from those few specimens. Millions are bred monthly and M. boesemani remains among the most sold aquarium fishes." There's also a list of the species in the Melanotaenia genus and where they originate from – and this fabulous article is complete with over 40 photos of Melanotaenia species and subspecies. The June issue is on sale from May 12 to June 8 2010.